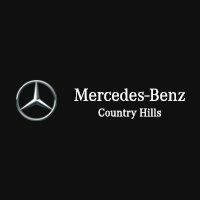 Welcome to Mercedes-Benz Country Hills Parts Department! As your Mercedes-Benz Calgary dealer, we’re dedicated to delivering high-quality service to you at every step of the car ownership process. That means delivering genuine OEM parts to our customers whether they’re planning a DIY home auto project, need repairs at our dealership, or want to improve their car with new accessories.